Nice range of ale and brilliant top shelf. If you want to sample a wee dram, go here! Restaurant upstairs.... portions are immense - my starter would have done me for a main. Great service. Bar downstairs is smallish, dark but with plenty of walking related chatter. The beer was excellent.... I stuck with the An Talloach (excuse spelling), which was perfect. The only good thing about this pub was the range of real ales on tap. 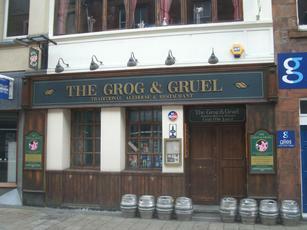 The bar was overcrowded and cramped, the service was slow and the staff(when we were eventually served) were rude. I love my ales but I would look elsewhere to drink them. 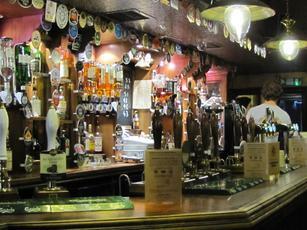 A truly great pub, 6 ever-changing Scottish real ales, all served to perfection, good food, very helpful staff, a great atmosphere and generally just a brilliant all-round pub. It can get busy, but as customers are called to the restaurant this soon eases. I just could not fault this place in any way, and if the staff are reading this, thanks for all of your great service.